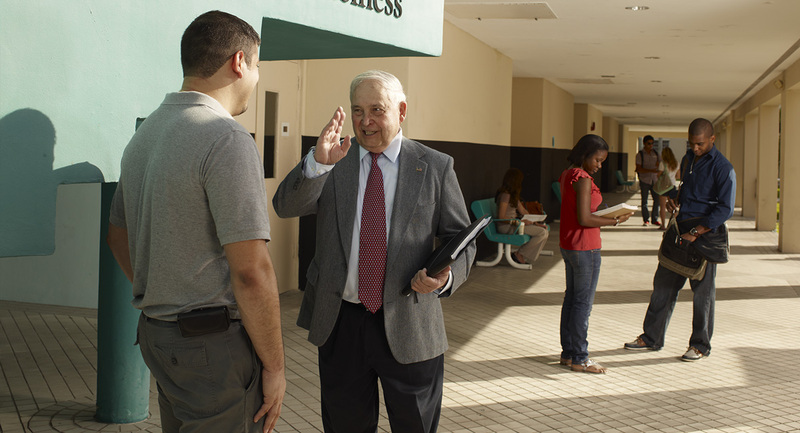 The odds are definitely in your favor at Barry University. Our student-faculty ratio is only 13:1. That means you get personal attention and guidance, and nobody gets lost in the shuffle. Even more impressive, over 80 percent of our faculty hold a PhD or the highest degree available in their field of expertise. We seek out professors who are not only great teachers, but who love what they do. Their passion, enthusiasm, and inspiration are contagious, and there's no better way to keep young minds excited about learning and discovering. Beyond each teacher's area of expertise, our faculty is committed to promoting equality, social justice, altruism, diversity, and humility. Through education, everyone can have a voice. Like our students and alumni, our professors continue to achieve great things. As noted above, over 80 percent hold PhDs, and many have won awards, including the prestigious Fulbright Scholars Award, the Outstanding Clinical Instructor of the Year, and many more. Additionally, grants and fellowships allow many of our faculty to conduct critical research, oftentimes assisted by our students.